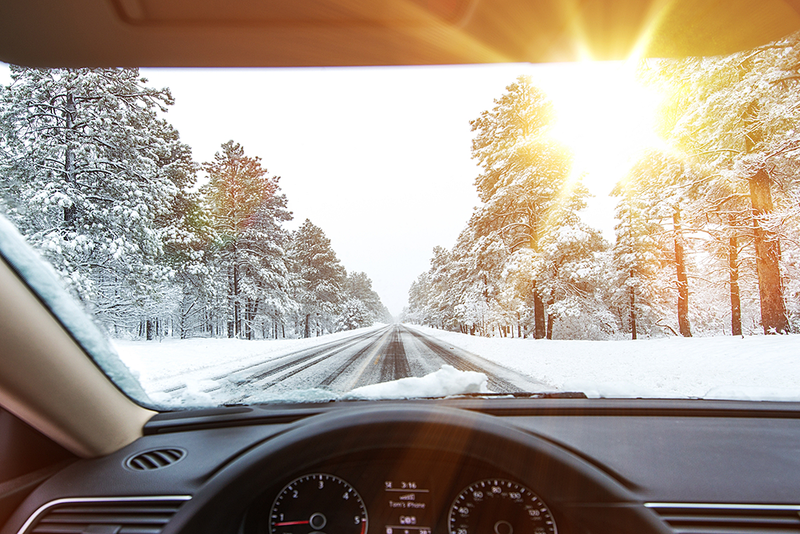 There’s plenty of ways to stay warm inside your vehicle this winter. Consider some cozy accessories to make driving in cold weather more enjoyable. Driving Gloves With Touch-Sensitive Material. What’s in your glovebox? If it’s not actually gloves, consider acquiring a pair that works with your vehicle’s touch screen. There are seemingly endless colors and patterns available, and they’re made of everything from wool, to leather, to sheepskin. Not all materials are compatible with touch screen technology. Make sure to try them out on your vehicle screen before investing. Tip: Gloves with haptic material are advertised as touchscreen compatible. Portable Heater. Do you have a passenger who likes their side of the cabin extra toasty? A portable heater that plugs into your vehicle’s 12V outlet stands ready for the job. These devices routinely have cords around 4 feet in length, allowing them to rest comfortably on the dashboard, or pump warm air to the backseat. Tip: Some models even have a “cool” setting for summer months. Insulated Drinking Vessel. Keep your coffee, tea or cocoa piping hot with a vacuum sealed stainless steel bottle. The design leaves a vacuum between the interior and exterior walls of the vessel, thereby creating an environment that’s difficult for heat to escape. Tip: Vehicle cup holders vary in size, so consider what your vehicle can accommodate before buying. Heated Steering Wheel Cover: Every morning the steering wheel feels as cold as a stethoscope. Do something about it. These battery powered cozies keep your palms and fingers warm with the use of heating coils beneath the surface. Tip: Look for devices with an on/off switch so it can remain plugged in for convenience. Heated Seat Cover. A heated driver’s seat on a frigid winter morning is one of life’s underrated luxuries. Heated seat covers plug into a 12V outlet and typically include simple fasteners and belts to secure them to the seat. These devices heat up to full strength in a matter of moments, making them an ideal accessory to have when you’re warming up the car in the driveway every morning. Tip: Look for material that’s breathable to prevent odors from accumulating. Remote Start. Forget running to a cold vehicle and sitting in a frosty cabin while it warms up. Treat yourself to a remote vehicle starter, a device that allows you to start the engine while still inside the house. Tip: Some remote starters can be controlled with a smartphone app, others from your key fob.